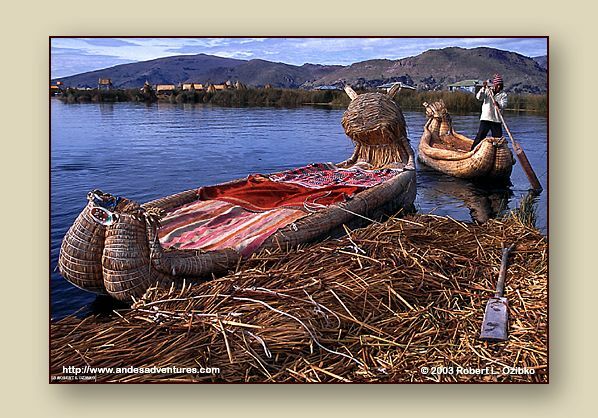 The floating islands, huts and boats are constructed from totora reeds. The reed boats traditionally include fanciful figureheads. Photograph by Robert L. Ozibko.